Polterngeist is the side-project of Pavel Malyshkin, best known as Ugasanie. Hailing from Belarus, Pavel has created over the years a sound which is uniquely recognizable. His work as Ugasanie focuses on frozen landscapes and the supernatural occurrences which present themselves within these barren lands. A recurring theme throughout much of his work is the effects that these supernatural occurrences have on the mind. Sometimes this takes the form of some malign deity consuming one’s soul, and sending them rushing into the elements, forfeiting their lives in the process. While at other times, it tells the narrative of northern shamans, purposefully communicating with these deities, bringing themselves in contact with the netherworld. Levels of Perception is the third release as Polterngeist. The focus of this project always contains a great deal of field recordings, twisted and manipulated beyond recognition. In fact, the name of this recent album, Levels of Perception, is a very fitting cue to this process. On some tracks what we hear is clearly understood. The origins of the field recordings are recognizable immediately. Laughing children, gusts of wind, spoken poetry. Yet at other times the perception of the sounds becomes subliminal, almost impossible to decipher. Polterngeist manipulates the sounds over and over, producing a final product which is thick with atmosphere, haunting in emotion, and yet hard to pin down, beyond the levels of perception that our human minds can process. All three albums under the moniker of Polterngeist have been overwhelmingly disturbing in nature, they haunt the subconscious. Giving rise to fears, without fully comprehending their origins. Levels of Perception takes this template to a new level. The work presented here is, to me, the most direct and pronounced example of the Polterngeist style to date. Malyshkin seems to have fully realized his format for this project and doubled down on its trademarks. The album starts off with a definite darkness. Thick black ambient atmospheres draw us into the void. Overwhelming washes of bass-driven drones from field recording samples grip the listener. As the album progresses this phenomenon only increases. By midway we are given a true dose of horror on “Integration Disorder” a child’s voice plays in reverse, delivering some twisted tale of gnomes. The following track “Behind Me Satan” drives us even further into the darkness. The overall theme seems to be of some demonic entity, possibly Satan himself, overtaking this child, or even a whole community. The thick windy elements are always present, placing this scenario in the depths of dark winter, in the far north. There were a lot of vocal samples used here. Not knowing Russian, I requested that Malyshkin give a rough translation of these elements, if they are to increase the understanding of the project. Pavel was kind enough to produce this transcript for us English speakers, so I will share some sections of that document here, to help listeners further understand, and better engulf themselves in the story. I see him on whom? It is a fiction, it is ideal. Was there a day? Was. You see the four corners? Are there corners? Tell me it’s not, devil. Day is night in the soap. All your time is a rope. And cut, on hands remains. Hopefully these transcripts will help listeners to find a greater understanding of the album. Each person will take away from this what they please, full analysis is left up to the individual, with a guiding hand from myself and these transcripts. If you find Ugasanie to be a compelling listen, I urge listeners to engage in this trilogy of releases under the Polterngeist moniker. 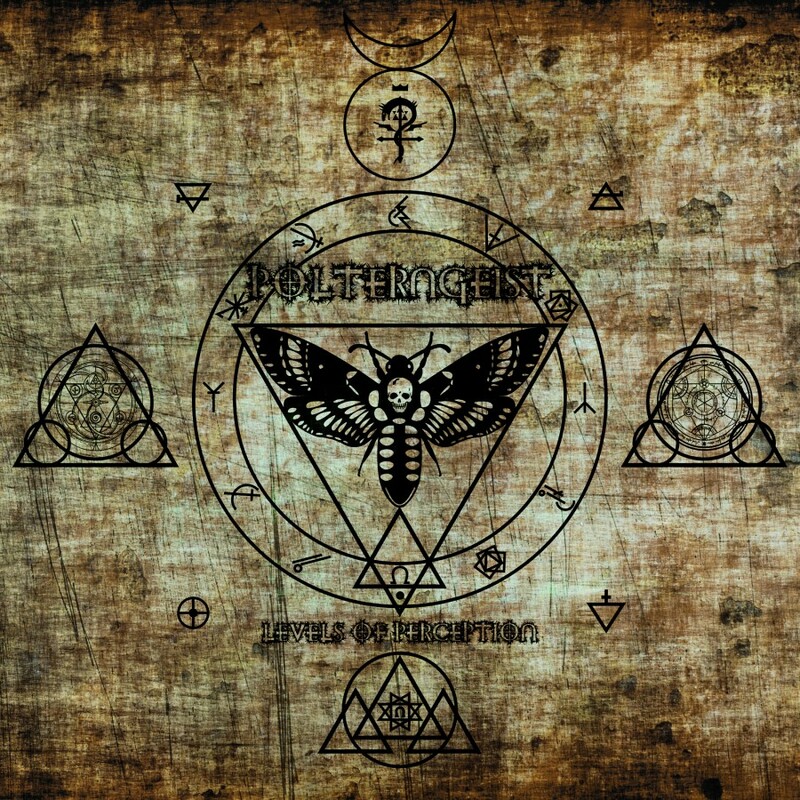 Malyshkin is one of the best in the genre at building atmospheres steeped in occult phenomena. Levels of Perception is a worthy companion to its predecessors. If one is not too fearful, the journey through these albums will be a rewarding experience.